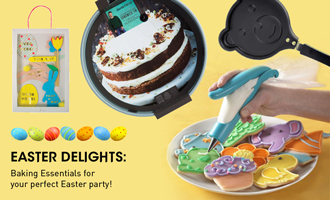 Easter Delights: Baking Essentials for your perfect Easter party! Easter is always a great time for families and friends to get together – if you’re planning an Easter party this year, get baking and treat your guests to some homemade Easter goodies! Whether you’ve decided to bake cookies, cupcakes or show-stopping cakes, here’s a round-up of all the baking essentials you will need this Easter for the perfect party! Discover everything you need to rise to the occasion with our range of Easter baking essentials. Here’s a fantastic Carrot Cake with Cream Cheese Frosting to get you started! Enjoy 35% – 50% off selected Meri Meri Party & Bakeware! 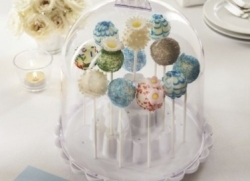 Transport all your yummy cake pop creations easily with the Nordic Ware Cake Pops Keeper with Dome Keeper! The keeper works with standard-sized treat sticks and securely holds your cake pops in place for decorating and transport. It holds 35 cake pops with the dome cover on, and 36 with the dome cover off. Get the Nordic Ware Cake Pops Keeper with Dome Cover at $32.10 (U.P $45.90)! The new range of bakeware and baking tools from Jamie Oliver is every home baker’s dream. Each piece has been smartly designed to help turn out show-stopping cakes and melt-in-the-mouth dishes time after time. The new range includes non-stick baking tins, loaf tins, whisks and many more baking tools. 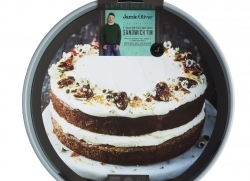 Enjoy 30% off selected Bakeware & Baking tools from the new range of Jamie Oliver bakeware! Enjoy the finest homemade frozen treats – at home! The fully automatic Cuisinart® Frozen Yogurt – Ice Cream & Sorbet Maker lets you make your favorites in 20 minutes or less, with no fuss and no mess. Just add ingredients to the bowl, press ON and the machine does the rest – delicious frozen treats for everyone in no time! 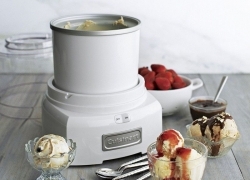 Enjoy the 35% off the Cuisinart Frozen Yogurt, Ice Cream & Sorbet Maker with a FREE Zyliss Ice Cream Scoop worth $22.90! Decorate cakes as easily as if you’re writing with a pen! 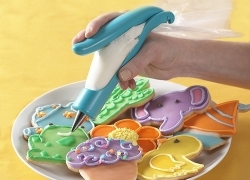 The Nordic Ware E-Z Deco Icing Pen fits perfectly in your hand for quick and easy decorating. You do not need to be a pro to decorate cakes and cookies that look good enough to come from the bakery. Perfect for piping those carrot and bunny butter cookies! Try these Vanilla Butter Cookies to get you started! 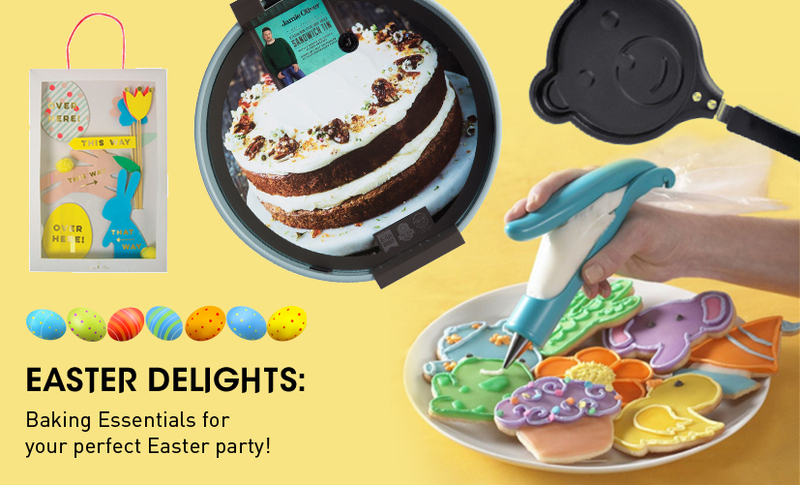 Enjoy 30% off the Nordic Ware E-Z Deco Icing Pen! 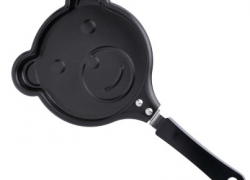 The MINI Aluminium Non-stick Frying Pans from Ibili is ideal for making eggs or pancakes in the shape of a bear. This pan will brighten up your food kitchen. The sloped sides let food slide out easily, and the non-stick surface makes cleanup effortless. Whether you’re a serious gourmet, a regular entertainer, or cooking for the family, no other piece of cookware performs with this omelette pan. Make delicious mini pancakes with these frying pans for the kids this coming Easter! Enjoy 20% off the Ibili MINI Aluminium Non-stick Frying Pans in Bear, Heart and Frog shapes! 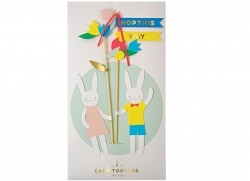 This entry was posted in buying_guides, Special Occasions. Bookmark the permalink. Mother’s Day Gift Guide: 6 Gifts Mom will Appreciate!